Throughout the whole of August, the London theatres participate in Kids Week. Started in 1998 this initiative is designed to allow children to experience the excitement of live theatre. All of the West End shows participate and for every paying adult ticket that you book, you can also book a free child’s ticket. As part of this scheme, and using the Spring’s cultural expansion grant, I took my two children to see Les Miserables in London last week. There is something quite special about seeing London through a child’s eyes, as they tick off the places that they recognise from the Monopoly board. Once in our seats, they were enthralled by the ornate design of the theatre and the pre-show buzz of the orchestra warming up and the audience arriving. The show was as spectacular as you might imagine and at the end, my son took his programme round to the stage door to get autographs from the cast. His signed programme now proudly sits in his treasure box, waiting to show everyone when he goes back to school in September. Inspired by free entry for children we also visited Kensington Palace where, once again, kids go free. The parts of the Palace that you can visit have been made into a beautiful museum which takes traditional exhibits in a traditional setting, but displays them in a wonderfully contemporary way which appeals to all ages. 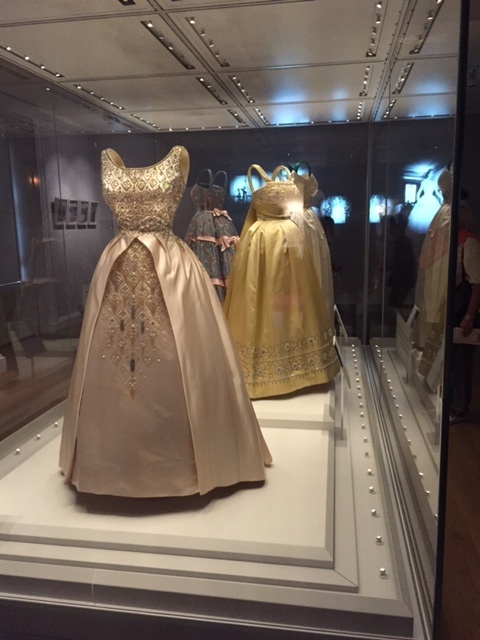 We particularly wanted to visit two exhibitions: Fashion Rules, containing dresses belonging to the Queen, Princess Margaret and Princess Diana; and an exhibition about Queen Victoria using extracts from her diaries to tell her life story. 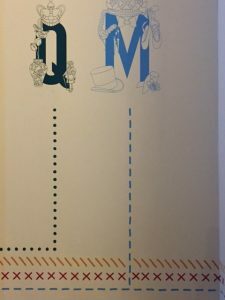 Each exhibition is given a different colour sign, so you pick which one you want to visit and follow the relevant coloured lines on the wall until you find the right room. 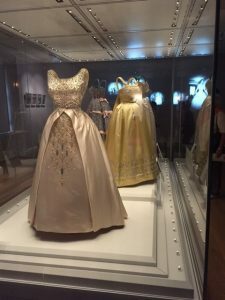 The fashion exhibition demonstrates the fashion rules of the 50s, 60s, 70s and 80s and how the Royals conformed to the rules, or – in the case of Princess Margaret – helped to set the rules. 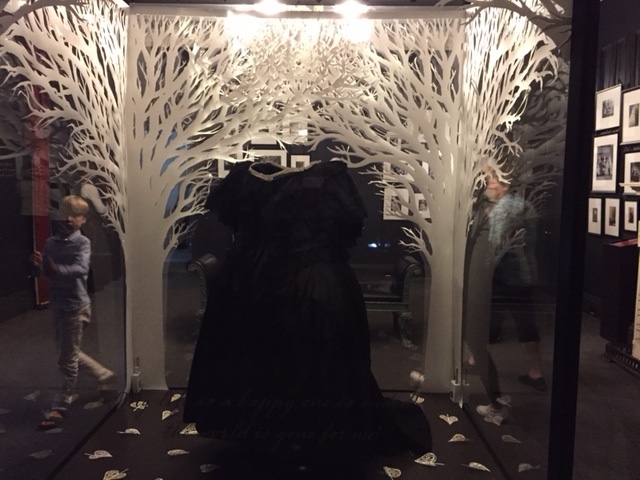 Beautiful dresses are on display and my daughter took several pictures to use as inspiration in coming up with her own designs. The Queen Victoria exhibition has taken extracts from her diary to show what her life was like and how she felt about her role, and particularly Prince Albert. 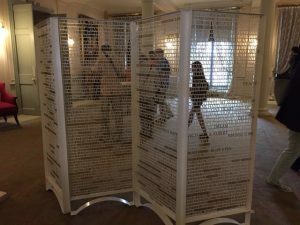 As you step into the first room a beautiful metal screen is on display which has been made using diary extracts. Various parts of the wall all have her own words on them, and even the carpet has her words woven into it. One of the most stunning exhibits is the mourning dress she wore after the death of Prince Albert. 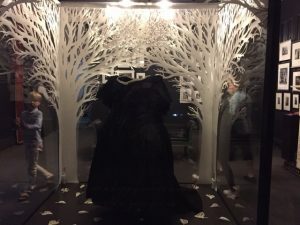 Displayed in a glass case, it is surrounded by paper cut trees and hearts which somehow help to convey to the visitor some of the emotion that she must have experienced. It’s a stunning exhibition and one that I would highly recommend simply for the beautiful way it has been curated, even if you have no interest in Queen Victoria. It’s very easy to get blasé about visiting London and to forget what an amazing city it is. Having the opportunity to take the children and to see it fresh through their eyes was a wonderful experience. 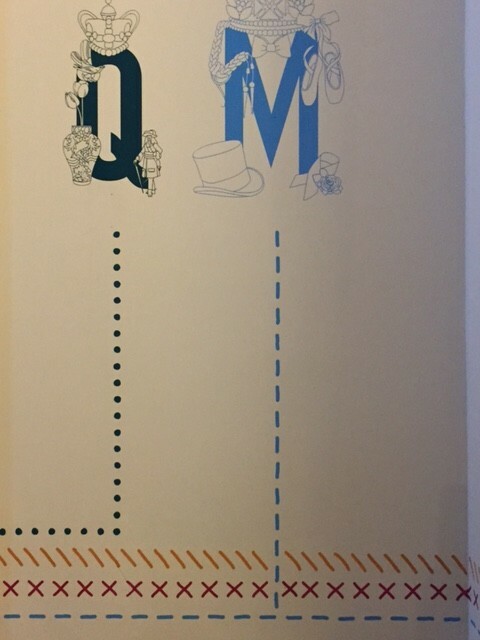 Spring’s Cultural Expansion grant funded much of our trip – every Springer is invited to tap into the grant twice a year to give us free access to a wide range of cultural events – all Spring asks of us is a blog post and to bring our new experiences to our work at the agency.